For several years, The Frist Center for the Visual Arts in downtown Nashville has invited student artists from schools in Williamson County to display pieces in their exhibit of student work. Elementary and middle school art teachers get to select two works per grade level and high school art teachers get to select two works from each art course offered at their schools. I found out about the exhibit through a friend’s Facebook post showing her son with his art at The Frist. Not long after that, I received an email from another friend saying that her daughter’s piece had also been selected. 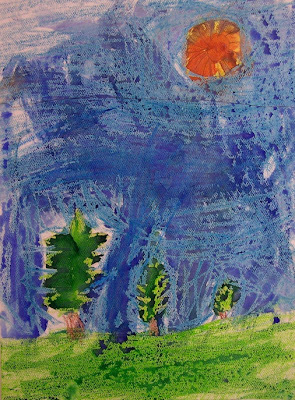 Both of these children are near and dear to my heart so I had to share their art! 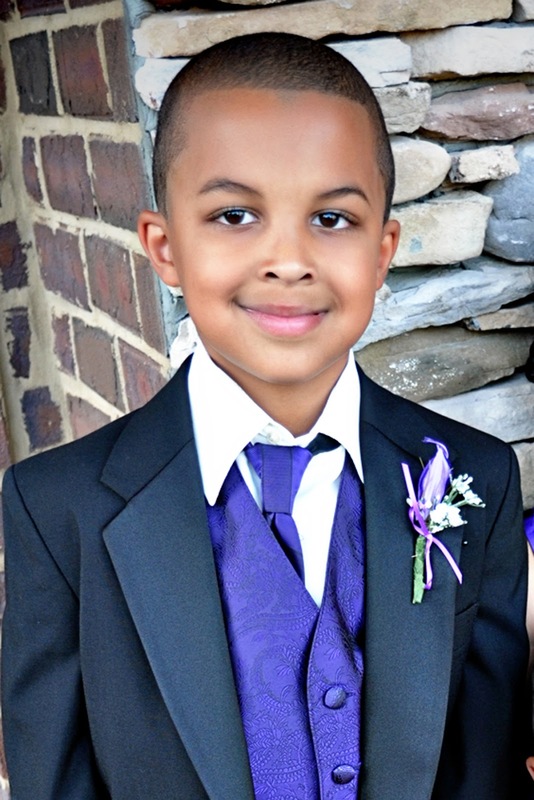 First is Jolan Grigsby, a first grader at Johnson Elementary in Franklin. 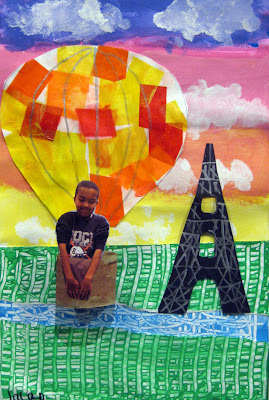 His art teacher, Cassie Stephens, said that they have been traveling Europe in art class this year. Transported by hot air balloon, their first stop was Paris, France. Stephens explained that Jolan began his piece by choosing the colors to paint his sky and clouds. Then he added green painted paper for the land. Next, he learned how to draw and cut out the Eiffel Tower. Once complete, he learned all about hot air balloons and how they work. After creating his own, he added a snapshot of himself to the basket of the balloon. Jolan said that it was a lot of fun and he really likes Mrs. Stephens’ class. He was excited and surprised to be chosen and couldn’t wait for his parents to see it. My next little artist is Kayleigh Miller. 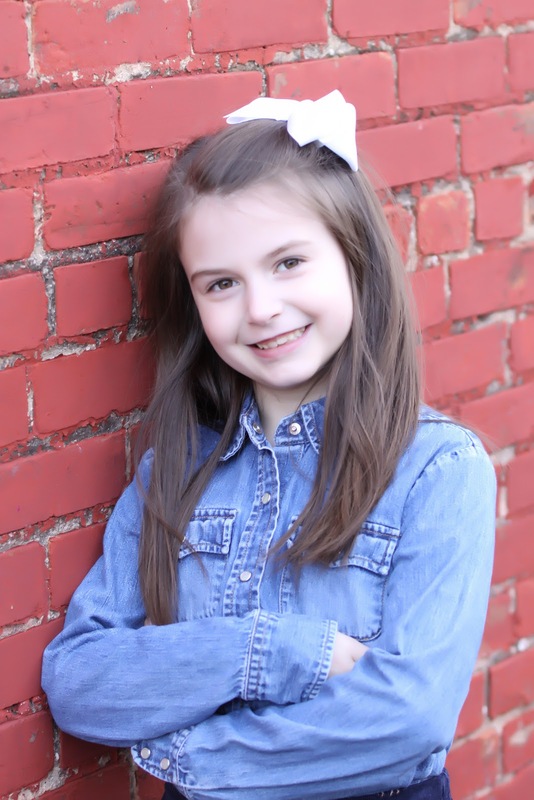 Also in the first grade, Kayleigh attends Westwood Elementary in Fairview. Her art teacher, Tom Tjornehoj, said, “Kayleigh's crayon-resist watercolor painting had been high on my list for the Frist for quite some time now. Art is a very personal thing - I believe it comes from the soul and in determining which pieces of student art are 'better' or 'best' is truly a matter of personal opinion. There are some technical aspects involved, but much of it is purely visceral. 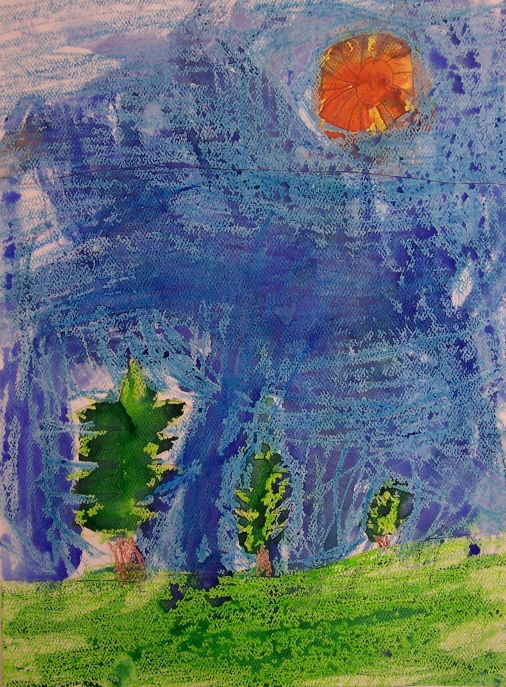 And Kayleigh's landscape scene definitely hit me from the perspective of personal appeal - I loved the effect she achieved in use of watercolor over crayon in her artwork - colors, lines, and shapes.” Kayleigh said she was excited when her teacher read it to out loud to the class that she had been chosen and happy that her work will be on display in downtown Nashville. She also said that Art is one of her favorite subjects and she loves to paint grass, hills, clouds, trees, the sun, the moon and other things you would see outdoors in the colors you see them in real life. She liked the three trees in her work the best because they were all different sizes due to the distance where they were located. She had a lot of fun doing this and she loves having the chance to be creative.